HOUR 27: Do the Thing! We’re past the halfway point, and you all are DOING THE THING. Gosh, my bookish little heart could just explode with happiness (in my dreams, of course, because in my time zone, it’s 3am and I am definitely, absolutely fast asleep). If it’s not the middle of the night where you are (or even if it is! Some people don’t need sleep as much as I do, I suppose…), check in and let us all know how it’s going. What are you reading? How are you feeling? What’s been the best part so far? 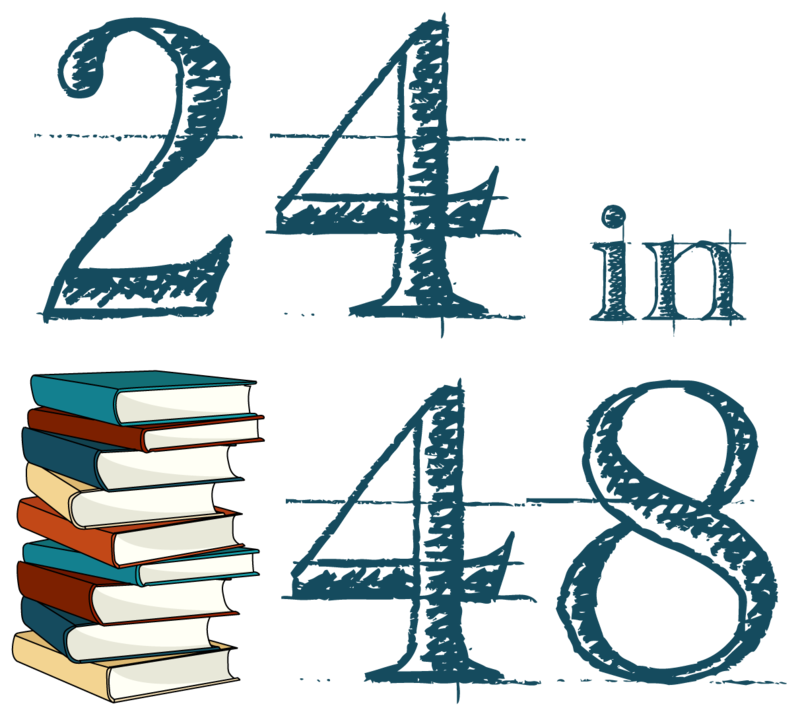 And if you have a few minutes, don’t forget to take a glance at the #24in48 hashtag to cheer on other participants. You might even connect with someone else in your time zone for real-time chats. Don’t worry, I didn’t forget to pull some new door prize winners before I headed to bed for the night. If you see your name here (or on any of the past hourly posts! ), check the Prize Page to select your prize. And stay tuned for more chances to win for the rest of the day! I’m in the central time zone and plan on heading to bed by 3 my time…maybe! 😏 You rock! 🤘🏻 Thanks for staying up with us. It’s heading into Sunday night here in the east coast of Australia. I’m getting some manga in! In Germany it’s 10 a.m. I started reading a biography yesterday afternoon, but now I need some variety and so I read a novel that takes place in Italy. It’s 11:30am here. I decided to sleep a lot to be prepared to enjoy the readings of today. I would have posted here earlier but I was asleep out here in California.